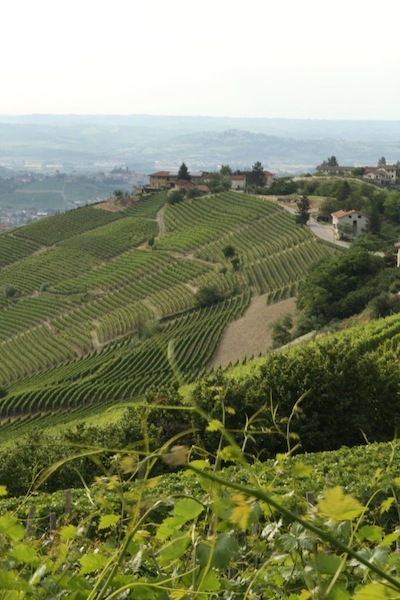 You love wine – you love Piedmont, right? 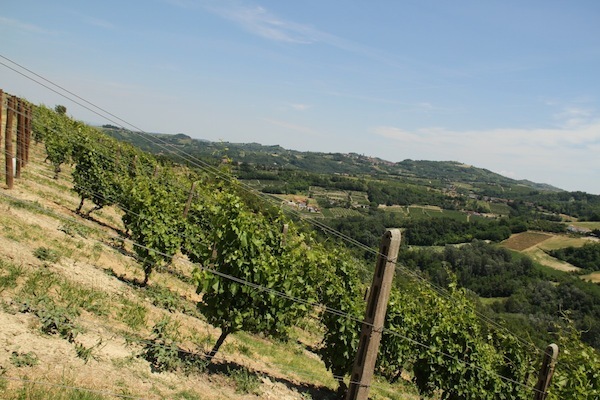 Home not only to regal Barolo & Barbaresco, but also to the more accessible (and frequently more attractively priced) Barbera D’Asti and Barbera Monferrato ­– not to mention charming Moscato D’Asti and Asti. But there’s so much more to be had of this bucolic land, sometimes termed the Northern Tuscany – for the rolling hills are just as picturesque, but Piedmont has retained more of its rustic roots, and is less overrun with tourists and overseas investors than Chianti’s stomping ground. 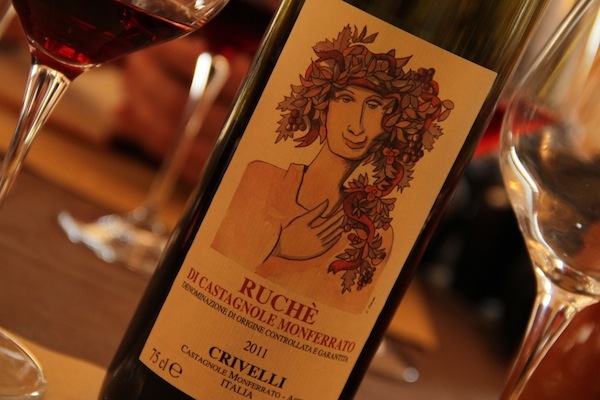 So Ruché di Castagnole Monferrato DOCG is, you guessed it, a wine made from Ruché grown in or around the village of Castagnole Monferrato. Similarly with Barbera d’Asti DOCG, Moscato d’Asti DOCG, Brachetto d’Acqui DOCG and Malvasia di Castelnuovo Don Bosco DOC. I could go on. Back to Ruché – one of the more unique light(ish) red wines I’ve had in recent years is Criveli’s 2011. 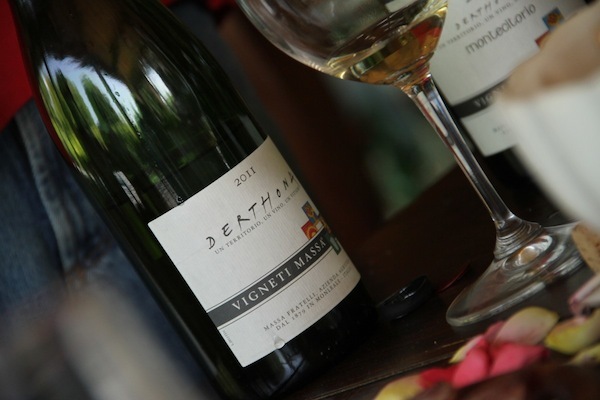 Normally if a wine smelled of geraniums, I’d probably send it back – but this is a characteristic of the variety, and creates an intense and inviting floral nose. The words “intriguing” and “attention grabbing” both appear in my tasting notes for this wine. Also try Da Capo’s version, a bit more structured and serious. 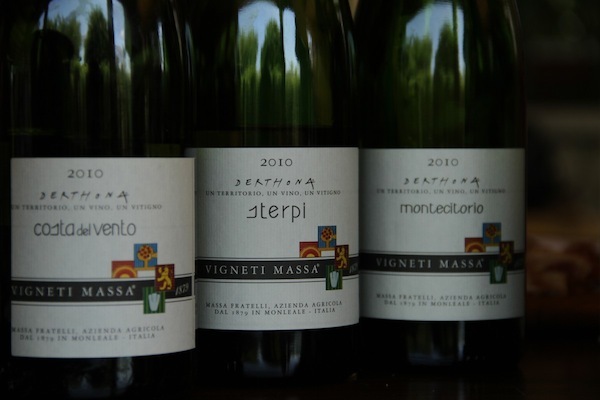 For whites, seek out Nascetta, a full bodied and complex variety enjoying a small renaissance. Elvio Cogno’s version is quite delicious. Cascina Castlet’s “Uceline” is a precious rarity – possibly the only commercially available wine made from Uvalino at the time of writing. And what a wine. Made passito style (with some dried grapes, similar to Amarone), powerful, spicy and tannic, yet perfectly elegant and at ease with its considerable girth. Not all of Piedmont’s treasures are as easy to like. I found Croatina really needs careful vinification to show its best- it’s a somewhat rustic red variety with tannins that could wake the dead. Claudio Mariotto‘s Montemirano 2008 is the most accessible version I’ve yet tried. Freisa can also suffer from a surfeit of tannin, but the best examples combine firm structure with delightful light red fruits and freshness. 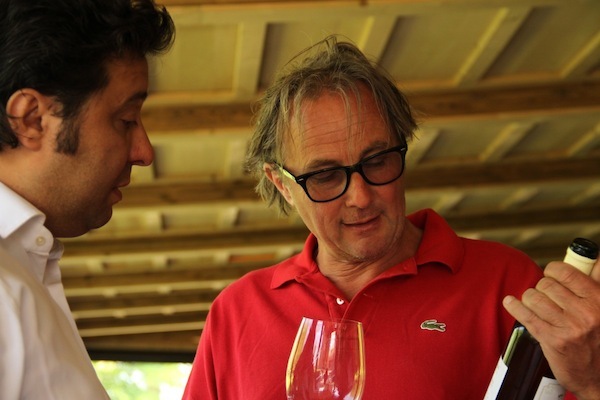 Aldo Vajra (better known for superlative Nebbiolo) shows a different side to the grape, with his Langhe DOC Freisa Kyè – a Freisa writ large, with concentrated fruit and extraordinary acidity. Obscurities are all well and good, but they have to deliver something pleasurable and successful (as a wine) to rise above mere conversation pieces. Look no further than the Easterly Colli Tortonesi for an almost unheralded variety with huge potential. Timorasso used to be grown widely around Tortona, until phylloxera decimated vineyards at the turn of the century. Producers replanted with the much more prodigious, and much more dull Cortese. Timorasso might have died out altogether but for the efforts of energetic and passionate winemaker Walter Massa. Walter not only produces extraordinary wines from the variety, he is also a passionate believer in the French terroir concept. To underline this, he’s popularised the use of the old name “Derthona”, to represent Timorasso grown in the specific Colli Tortonesi area. Colli Tortonesi Timorasso develops impressive complexity, from honeyed and nutty notes to creaminess and structure that would suggest oak – yet it can do this without needing any help from a cooper. Massa’s Derthonas are superlative, ranging from more citrus and mineral to toasty, buttery and rich (the single vineyard Costa del Vento is perhaps the standout), but always beautifully defined and elegant. Walter has mentored a number of other producers in the area – Timorassos from Paolo Poggio or Claudio Mariotto also scale the heights. A little tip is Walter’s Monleale 2004 – one of the most outstanding expressions of Barbera that I tasted in the whole region. In fact I confidently predict that the Colli Tortonesi may be known just as much for its Barbera in the future. Piedmont is so rich in native grape varieties and wine styles that it’s not possible to catalog them all in a short article. I haven’t even mentioned Grignolino or Verduno Pelaverga – never mind the plethora of low-alcohol sweet sparklers so typical of the region (Brachetto is a personal favourite). But if your appetite is whetted, next time you’re at your favourite wine merchant hovering over a Barolo or Barbaresco that would require a second mortgage, resist. There’s life beyond Nebbiolo and Barbera, and very tasty it is too. Disclosure : I travelled to Piemonte in July 2013 as part of a press trip organised by Paul Balke and supported by various consorzi and winemakers in the region. Wines, food and accommodation were all provided. Hi Simon! I have recently discovered your website, I am enjoying reading it very much, it has great info! I hope we can begin to exchange some ideas! Thank you.